ARRA News Service: Benghazi Scandal Update: When will we hear from David Ubben? 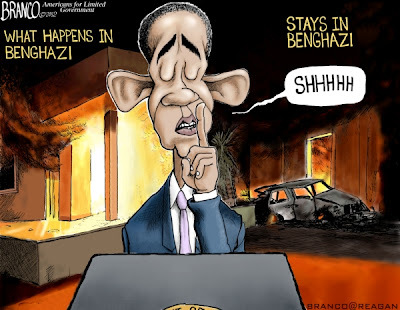 Benghazi Scandal Update: When will we hear from David Ubben? Bill Smith, Editor, ARRA News - In addition to my introductory comments, the following article includes a Fox News Interview of David Ubben (via video) and two current articles addressing questions on the night of the attack on the U.S. diplomatic facility in Benghazi, Libya on September 11th, 2012. This attack resulted in multiple deaths including the death of U.S. Ambassador Christopher Stevens. Congress and the American people have been denied the truth of why the Obama Administration failed to respond quickly when notified of the attack and also its failure to provide prior adequate security and protection for the U.S. Ambassador. What we do know is that President Obama, former Secretary of State Hillary Clinton, the Secretary of Defense, the Generals, and others were negligent in providing timely response to save American lives. It is now almost a year later and neither Congress nor the American people know the truth of what their leaders were doing and why they did not appropriately react to this terrorist attack. Obviously, the attack did not play well with President Obama's narrative that the War on Terrorism was to be declared over. In addition, immediately after the results of the attack became known, a massive cover-up by the Obama administration was initiated regarding the reason for the attack on the "U.S. facility." 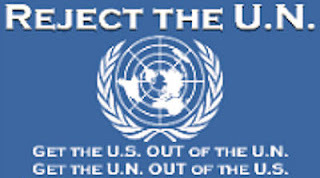 Quickly the administration launched a false narrative to be presented on the Sunday Morning TV Shows by then U.N. Ambassador Susan Rice who proceeded to state that the attack was the result of a anti-Islamic video. This false narrative was swiftly debunked and became itself its own detracting news story yet again masking the primary story. Normally, an attack on an American diplomatic facility, the murder and defilement of a U.S. Ambassador Christopher Steven, and the killing of three other Americans would normally have occupied the headlines for weeks - potentially months. However, the story, the unanswered questions, and more were quickly replaced by other news in what appears to have been a blatant effort by the liberal media to aid the President and thus his administration in the re-election efforts in less than two months. Miraculously, there was a survivor, David Ubben. And both Congress and America public want to know exactly what happened that night. They also want to know why it took 20 hours to finally place a rescue team on the ground in Benghazi. The military have contingency plans in place which if followed would have had eyes on the target very quickly, had air cover shortly thereafter, and had combat rescue teams, be they U.S., Allied, or contractor, on the ground in a much shorter time period than occurred. Kyle Becker at Independent Journal on Thursday claimed that While Obama and Hillary Slept, Injured Benghazi Hero David Ubben Left on Rooftop for 20 HoursThe Benghazi terrorist attack resulted not only in the death of four American servicemen, but the injury of diplomatic security specialist David Ubben. The previously unnamed hero attempted to rescue slain diplomat Sean Smith, and had his leg shredded by mortar fire assisting the CIA annex detachment of Glen Doherty and Tyrone Woods. David Ubben then lay on a rooftop for 20 hours, waiting in vain for the State Department or the Commander-in-Chief to send an emergency in extremist force. From the Inquistr:Diplomatic Security agent David Ubben was in Benghazi during the attack. David Ubben sustained injuries at Benghazi so severe he’s still being treated at Walter Reed medical center to this day. The House Oversight and Government Reform Committee has attempted to interview David Ubben as part of their Benghazi scandal investigation, but the State Department has not allowed the meeting according to Representative Jason Chaffetz: “While initially they said they would be helpful, pretty quickly they turned that off. And I had a meeting scheduled to go visit this… young man and then I was denied.”If the deadly terrorist overrun of a diplomatic facility in Benghazi, Libya on the anniversary of September 11th last year fit the mainstream media narrative of President Obama and pre-ordained President Hillary Clinton taking the famous “3 a.m. phone call,” there would have already been three made-for-TV movies, an Oscar Award-winning documentary, and a Broadway musical on tour proclaiming their triumph. Instead we hear… silence. Not only silence from the White House, but silence from the mainstream media, whose “journalists” are more interested in polishing off their progressive bona fides than informing the American people about a significant matter of national security that is still being covered up. The prime duty of the President of the United States is to act as Commander-in-Chief, not act as campaigner-in-chief. Instead of providing guidance and oversight in the rescue operation of American servicemen in a recent warzone, by all reports Obama decided to rest up before jetting off to a Vegas fundraiser. Hillary Clinton’s State Department had refused security at Benghazi, but at this point, what difference does it make? After being correctly informed that President Obama did not ensure troops were expeditiously dispatched to Benghazi, an overwhelming 62% thinks the president should have. As if to demonstrate the utter futility of arguing with a certain segment of this country (that shall remain nameless), 24% think the servicemen in Benghazi should have been left there to die.Yesterday, an Investor's Business Daily editorial asked Will David Ubben Blow Roof Off 'Phony' Benghazi Scandal?The former commander of special operations in North Africa says he, like our president, was incommunicado during the Benghazi attack. We may soon hear from the hero who survived 20 hours waiting for help. During the second wave of attacks on Benghazi, diplomatic security agent David Ubben was on the roof of the CIA annex with two former Navy SEALS. Eventually, several rounds of mortar attacks found their mark, killing Tyrone Woods and Glen Doherty while shredding Ubben's right leg. Ubben was stuck on that rooftop for 20 hours before help finally arrived. He can tell us and former Secretary of State Hillary Clinton "what difference does it make"that help was not sent — at least two American lives. Ubben sustained injuries at Benghazi so severe he's still being treated at Walter Reed Army Medical Center. Rep. Darrel Issa's House Oversight and Government Reform Committee has tried to interview Ubben as part of its Benghazi scandal investigation, but the State Department has not allowed the meeting, according to Rep. Jason Chaffetz, R-Utah. "While initially they said they would be helpful, pretty quickly they turned that off," Chaffetz reported. "And I had a meeting scheduled to go visit this ... young man and then I was denied." State Department spokeswoman Jen Psaki denies Chaffetz's claim, saying State has been fully cooperative. Another Republican congressman, Frank Wolf of Virginia, who has gathered a majority of Republicans in the House in support of a select committee to investigate Benghazi, recently sent a letter to Secretary of State John Kerry complaining that the State Department has refused for months to provide Congress with the names and contact information of the survivors. Ubben entered the smoke- and flame-filled Benghazi consulate several times in an attempt to rescue his fellow Americans. First, he recovered the body of Foreign Service Officer Sean Smith. He also went searching for Ambassador Chris Stevens but couldn't find him. With more hearings scheduled on Benghazi this fall, some lawmakers hope Ubben will feel he's well enough to publicly testify, because he's one of the few survivors to witness both waves of the attack. It was hoped that Col. George H. Bristol, former commander of Marine Corps special forces in Africa, could help explain to Ubben and to us why he had to wait on a roof in Benghazi for 20 hours for help to finally arrive. Bristol was in charge of special operations forces in Northern Africa on the night of the Benghazi terrorist attack. He gave closed-door congressional testimony on Wednesday in which he said he was traveling in Africa at the time of the Benghazi attack and unreliable communications kept him from participating in the attack response, or lack of one. These lines of inquiry are reserved for the dreaded warmongering "neoconservatives" of Team Bush. Obama isn't the only Democrat who is being awarded with feigned ignorance by the Times. The "newspaper of record" looked ridiculous when disgraced former congressman Anthony Weiner was forced to admit he kept right on "sexting" strange women who were not Mrs. Weiner after he resigned and promised to end his creepy online sexual misbehavior with strange women. In April, they published a gooey cover story in the New York Times Magazine titled "Huma and Anthony: The private life of a former power couple." All three networks picked up that soon-to-unravel Happy News. The author of that cover story, Jonathan Van Meter, sympathetically recalled on NBC that Weiner was "still wracked with a sort of shame and pain and guilt about it, and — and he cried, I think every time I interviewed him, at some point." But in retrospect, Van Meter claimed when challenged on whether he asked Weiner about a relapse: "Never even occurred to me to ask!" Was Van Meter that clueless? Even Politico media reporter Dylan Byers, nobody's idea of a right-winger, wrote at the time that Van Meter "seems not only sympathetic to Weiner, but uncritical and unquestioning." But it's also very likely that the Times editors ordered and expected a Weiner-on-the-rebound piece, and it made no sense to resist that template. The face-omelet of embarrassment should be theirs, as well. Both of these story lines reveal that just as the Times tried to move mountains to ruin President Bush, they are also rabidly partisan in seeing themselves as life preservers for Democrats. Why anyone would see this as a "prestige" newspaper while its news coverage careens wildly from abuse to neglect is a mystery. Tags: Benghazi, scandal questions, survivor, David Ubben, commentary, video, articles, editorial cartoon To share or post to your site, click on "Post Link". Please mention / link to the ARRA News Service. Thanks!